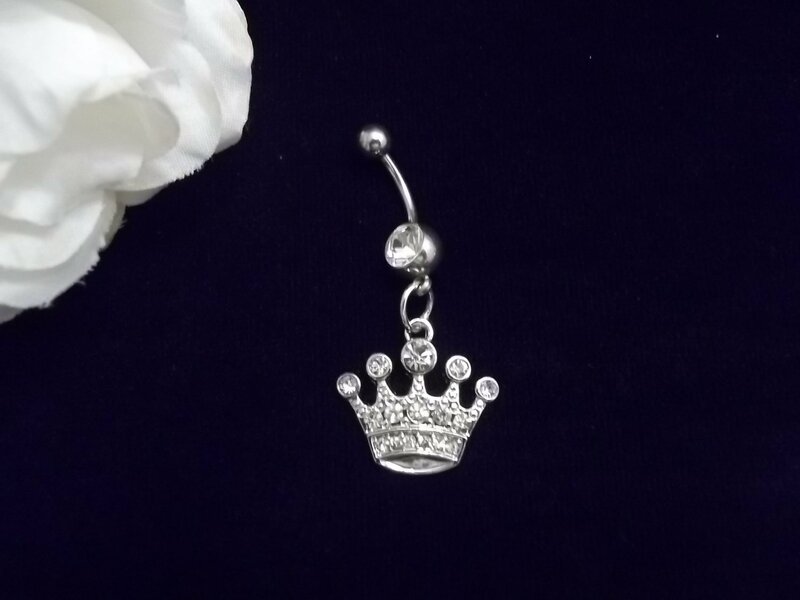 Beautiful Crystal Crown and clear Crystal gemstone belly piercing.! VERY SPARKLY and EYE CATCHING!Get ready for summer and show off your piercing. FREE SHIPPING!